Other than Pac-Man, video game's most well known character has to be Mario of the classic Super Mario Brothers video game for Nintendo. 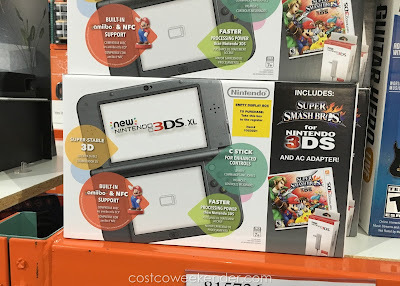 Well, Mario is at it again with the Super Smash Brothers video game for the all new Nintendo 3DS XL. 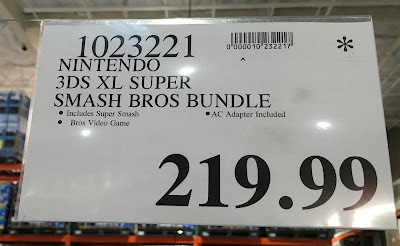 Costco has a bundle which includes both the portable Nintendo 3DS XL device and Super Smash Bros. fighting game. 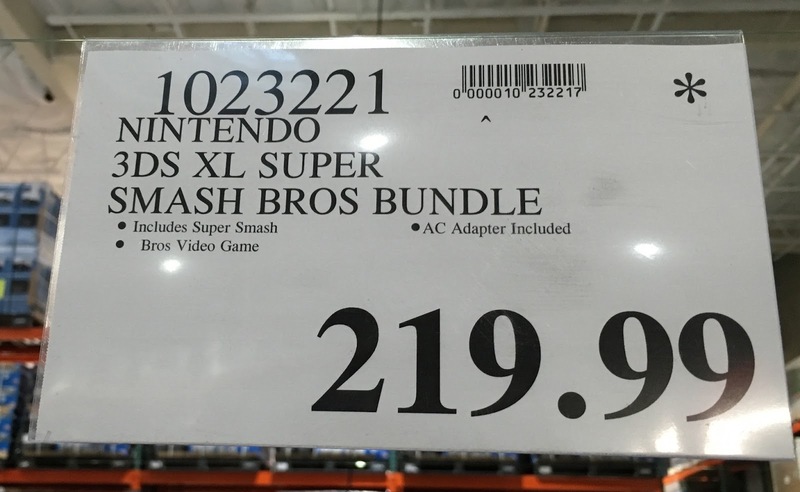 This bundle is what you need to play your favorite Nintendo character like Mario, Luigi, Pikachu, Link (from The Legend of Zelda) or Donkey Kong to fight it out all in the palm of hand. 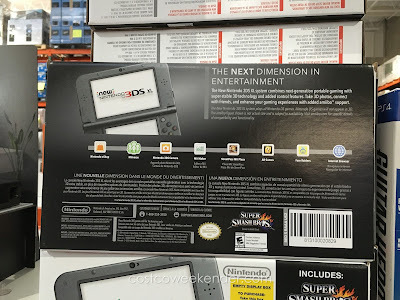 You'll love the Nintendo 3DS XL especially if you grew up playing the Nintendo Game Boy which I had as a kid. At least now it comes in full color and amazing graphics instead of the dull, spinach-green screen of the original Game Boy. 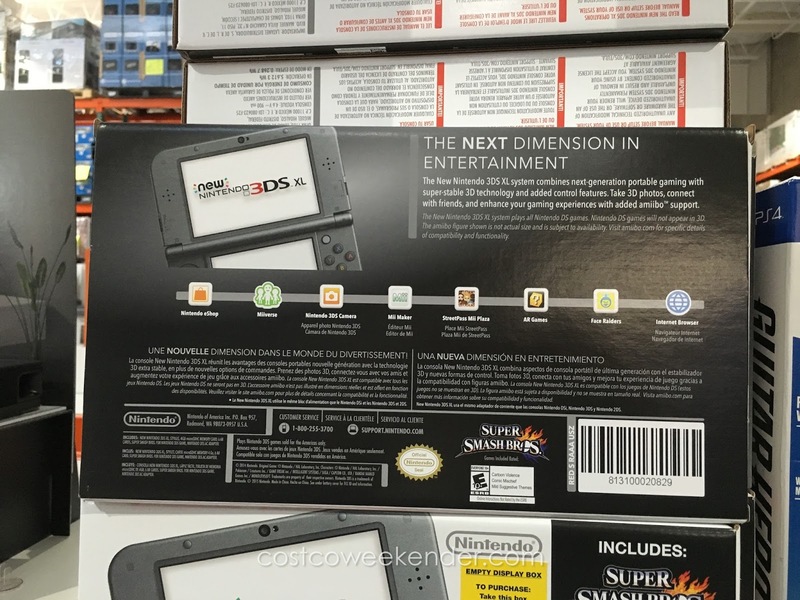 New Nintendo 3DS XL: the Next Dimension in Entertainment. 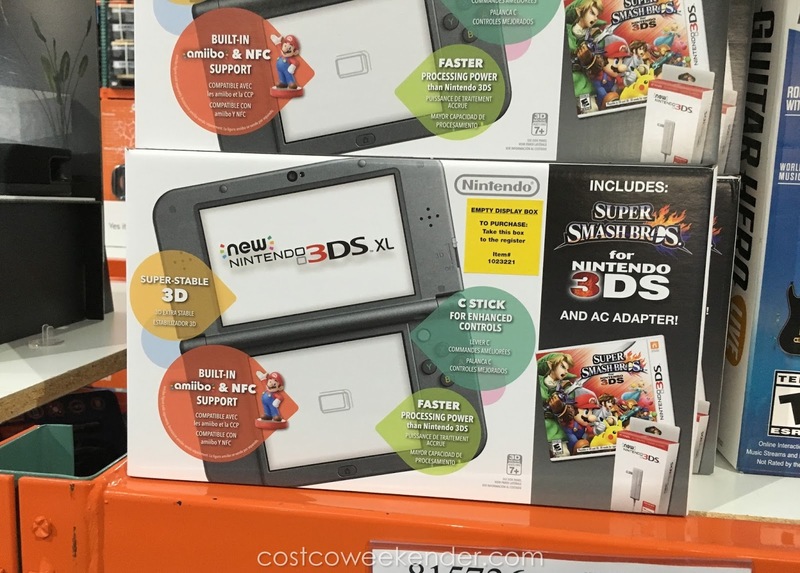 The New Nintendo 3DS XL system combines next-generation portable gaming with super-stable 3D technology and added control features. Take 3D photos, connect with friends, and enhance your gaming experiences with added amiibo support.